Delegates from the across the country gathered in sunny Orlando, Florida for the annual House of Delegates Meeting. During which time Delegates were faced with making decisions on issues that have far reaching implications for the association and for the profession of physical therapy. 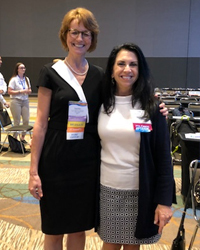 During the 2018 APTA Presidential address, re-elected President Sharon Dunn, PT, PhD urged members to engage with open arms and open minds during a passionate and heart-felt speech. Click here to watch the full speech. 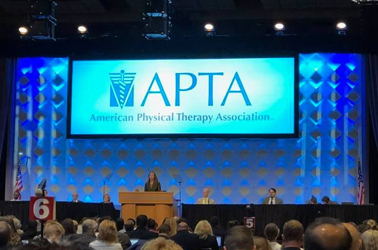 Outcomes from the 2018 House of Delegates will be available soon on APTA's website. But its at this time, in which we would like to thank all of our Delegates who were able to travel and represent Illinois in Orlando, FL for APTA's 2018 House of Delegates Meeting. Your time, skills and energy are much appreciated by the association.